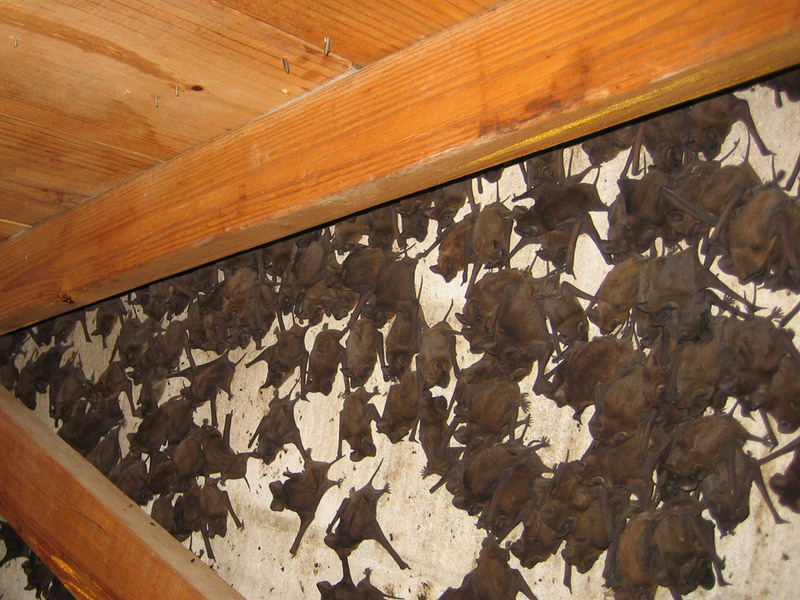 We specialize in the removal of nuisance bat from property, homes and buildings in the Cincinnati area. We offer a wide variety of services from attic inspections to damage repairs, and can resolve any human-wildlife conflict. We are fully licensed and insured in the state of Ohio, owner-operated, and fully proficient and equipped to handle any critter problem, start to finish. Please give us a call at any time and we will listen to your bat problem, explain your options and our pricing, and we will schedule an appointment. Hi, Was just reading your info on Cincinnati website. On Tues night, just before we went to sleep, a bat appeared in our bedroom. My husband chased it out of the room, down to the LR/DR kitchen area (cathedral ceilings there)..bat proceeded to fly around; he smacked it w a broom, it fell to the floor and then he scooped it out off of our deck. (We now know we should have somehow saved it and had it tested :( We had a local (licensed) bat control co here...he found evidence of perhaps 4 or 5 bats in our attic and has recommended removal via exclusion window, sealing up etc. My question...I was just reading about maternity season...is that still a concern if removal begins now? This co is not available to do the work until next week...I'd rather find someone who can do it today as this whole situation is freaking me out( and we have our daughter's engagement party here on 9/7 making matters worse). Also---he did not observe the house at dusk...does that make a difference in his success on this? We were planning to ask him today about guarantee. If there is no issue with getting it started sooner than next week, I'd like to go fwd w it. Much appreciate any advice you can give. We operate a professional bat removal company operating in the Cincinnati area, including the towns of Covedale, Delhi Hills, Norwood, Maderia, Kenwood, Montgomery, Loveland, Sharonville, Springdale, Forest Park, Northbrook, Groesbeck, Brentwood, Mount Healthy, Finneytown, and more, plus Northern Kentucky, including Covington, Newport, and more. We specialize in the humane removal of bats from buildings and property. We are fully licensed and insured, and operate 24 hours a day, 7 days a week. Call us at 513-906-4260. We have bats living under a "lifted" clapboard on our house. We don't want to kill the bats. We don't see any sign of them in the attic or any other part of the house. We are going to put up bat houses and seal or replace the clapboard when the bats leave to feed. Is this a logical solution, or is there something else we should consider? Thanks for any advice you can give! We're an elderly couple and will probably have to get someone to do this. Ladder climbing isn't too healthy for us at this point.